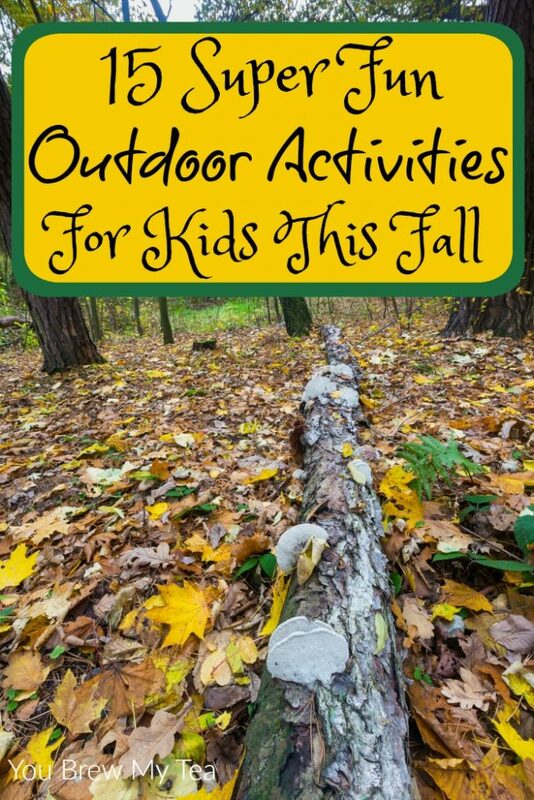 I am so excited about this list of outdoor activities for kids this fall. I think the biggest part of my excitement comes from the fact that this year we get to really enjoy the beauty of fall in Michigan. With so many gorgeous areas to visit, it is an ideal place to spend time outside with our son. It’s hard sometimes to find the best outdoor activities for kids that will suit their personalities while also getting them outside for awhile. Admittedly, I am not much of an outdoorsy type myself, but I have come to realize that it has more to do with the activity and less to do with the outdoors themselves. This list has some amazing options for kids and some classics that you probably already thought of enjoying. Take a nature walk together. You can even print up a simple scavenger hunt list for your kids of things like stones, specific leaves, berries, or similar items you know are in your area. Pick leaves and make some leaf rubbings. Nothing is as much fun as grabbing leaves from the pile you just raked or from a tree and using them to make fun leaf rubbings. Rake leaves and play in them. You can rake them up to play and have fun jumping and rolling in the leaves, then clean up and bag them to be recycled or turned into compost. Learn how to build a fire and make S’Mores. One thing that every kid needs to learn, is an appreciation for fire. Depending on their age, you can take time for one of the best outdoor activities for kids, and teach them how to safely build a fire. If they are too young to learn how to do this themselves, you can have them help gather up sticks and such to build a fire for everyone to make S’Mores. You can even get fancy and use S’Mores makers to keep from making a mess. Go camping in your backyard. One of the best ways to have fun camping without having to be too uncomfortable is to set up your tent in the backyard. You still have access to your bathroom and the comforts of home, but also have some freedom to enjoy things like hot dogs and S’Mores cooked over a fire. You may even want to bring along an app on your phone or a book on constellations to check out the stars at night. Pick apples at a local orchard. This is such a fun thing to do. There are many orchards that allow you to pick your own apples. It’s a great way to spend a day with the kids, then you can come home and make fun recipes. Create a backyard obstacle course. Use things like fallen leaves, creates, totes, hula hoops, jump ropes, and more to create a fun outdoor backyard obstacle course kids will love timing each other to go through. Go hunting. While I am not a fan of hunting for sport, I am a fan of children learning hunting safety. Being able to hunt, kill, and prepare food for themselves is a life skill I hope we don’t have to use, but am happy to know how to manage. You may also want to look into hunter safety classes in your area. Play yard games. With the summer heat gone, it’s a great time to spend more time outside playing things like volleyball, horseshoes, shuffleboard, croquet, or similar fun classic yard games. Go to a corn maze. Fall harvest events often have a corn maze to have fun walking through. Take your kids to a local event for a fun time figuring out how to make their way through a corn maze. Bob for apples. This classic harvest season game is a great one you can do at home with just you family. A few apples, a tub of water, and tons of laughter will be a great way to spend a few hours with your kids. Volunteer to do clean up. Fall means leaves are falling all over the community. Whether it is helping a neighbor rake and bag leaves, or heading out to the local park and picking up litter, you can use the nicer weather as a great way to encourage your kids to volunteer in the community. Decorate your home for the holidays. With so many great holidays happening in the fall months, it’s a great time to get your kids involved with putting out the outdoor decorations. Let them join in to help as well as make decisions on how your home should be decorated. Go fishing. As summer fades into fall, one of the best outdoor activities for kids is to take them fishing. With local lakes, ponds, and beaches not so busy thanks to peak season being over, you have a better chance of finding a quiet fishing spot. Plant fall crops in your garden. It’s a great time to teach kids about what plants grow in cooler fall and winter temperatures. Let your kids help you to clean up your summer garden and prepare that area for growing fall or even winter crops. 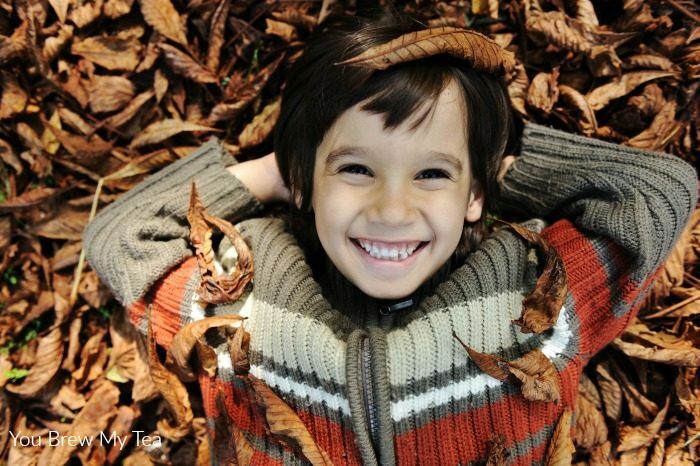 These outdoor activities for kids to do this fall are tons of fun and a great way to get your kids out of the house and using their imagination. I love doing anything that also gets the Wee Child active, and the fall temperatures are ideal for that!